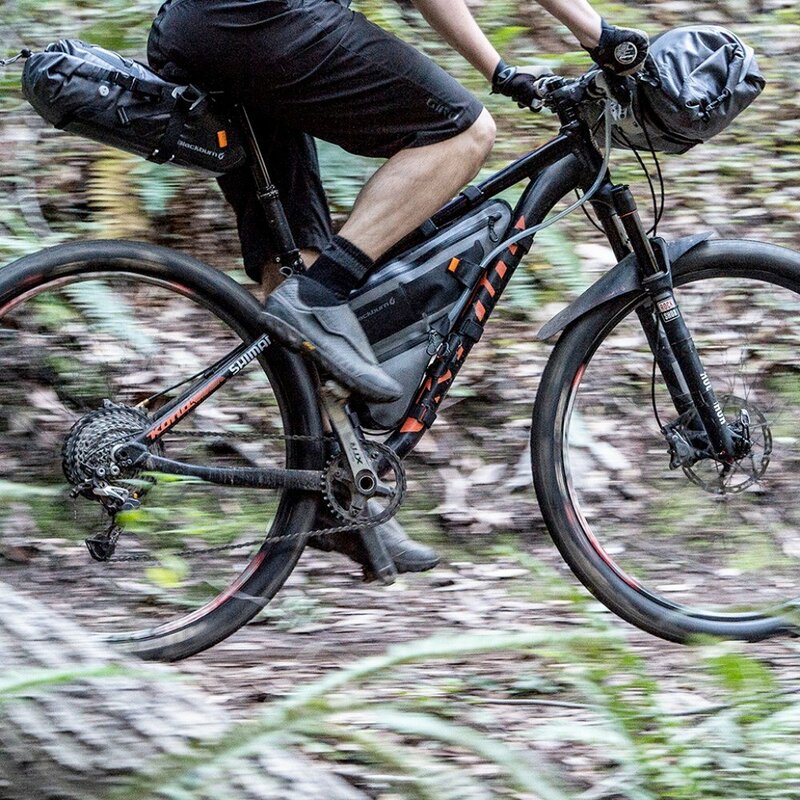 Did you know that carrying dense cargo in the front triangle of your bicycle lowers your center of gravity and makes your bicycle more stable? 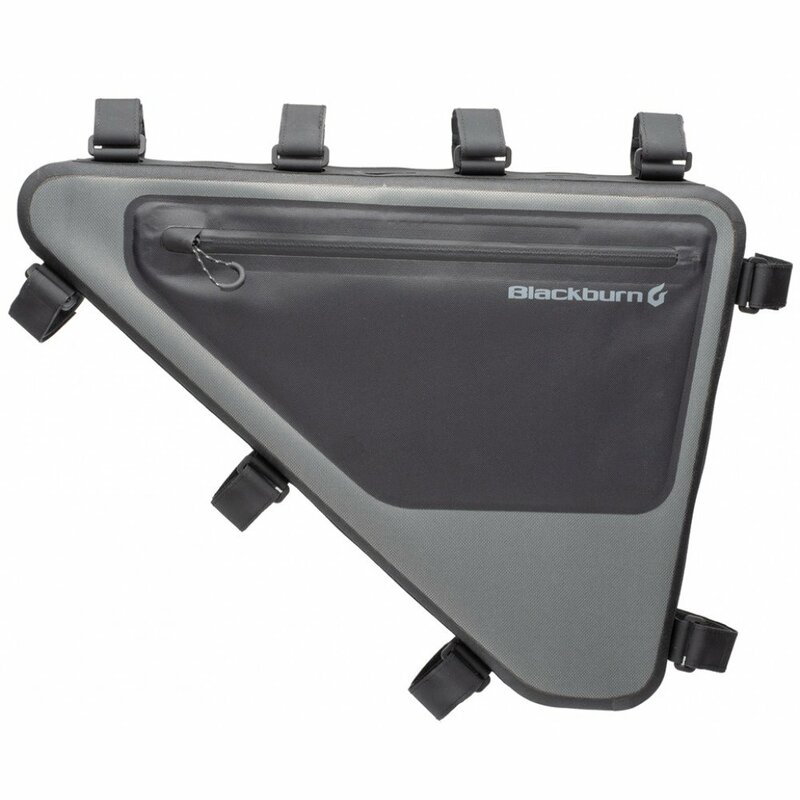 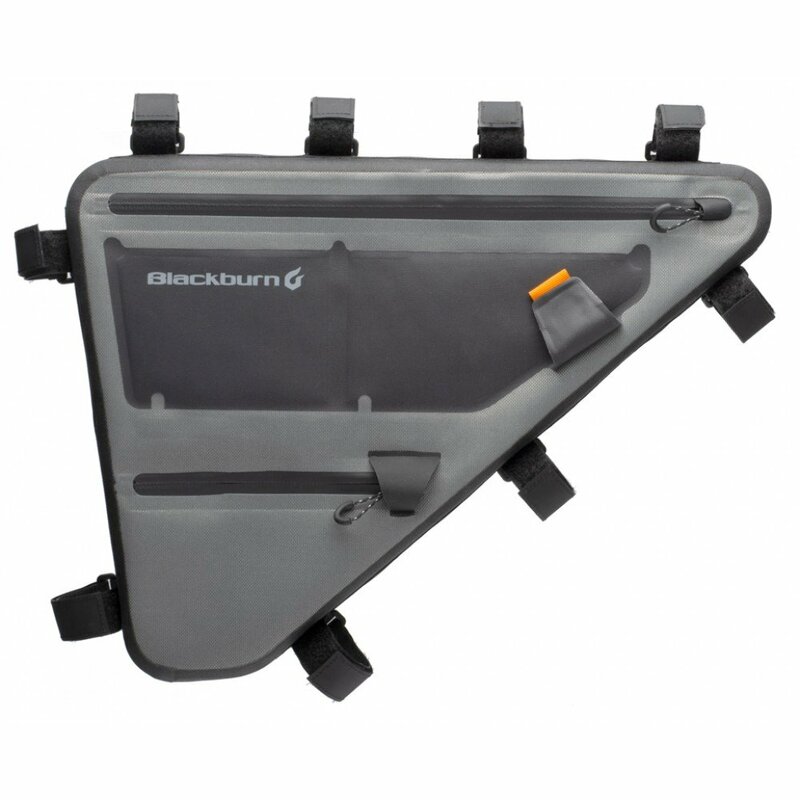 The Blackburn Outpost Elite Frame Bag is a perfect bike-packing bag. 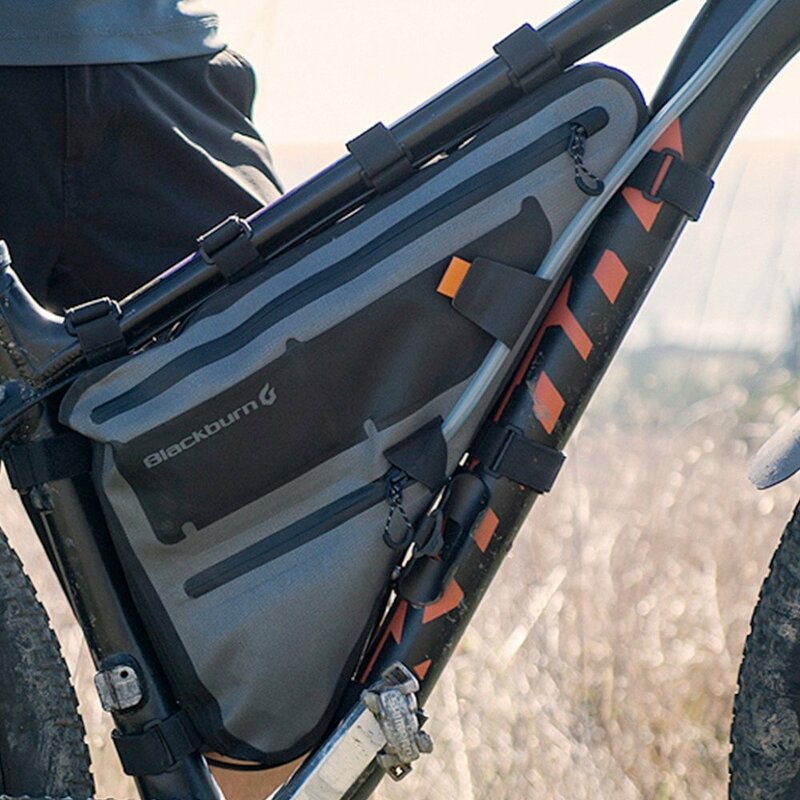 With waterproof, lightweight materials and welded seams, the bag is optimized for any adventure. 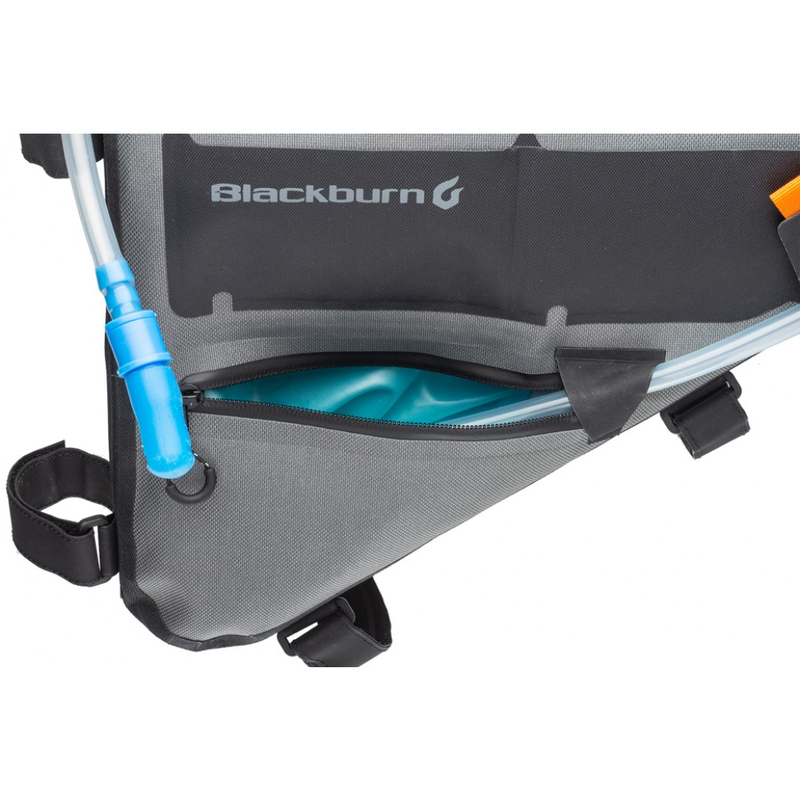 The bag connects to your frame with removable Hypalon straps that protect your frame and allow it to fit a wide range of frame sizes and styles.